Gold climbed $9.29 to $1230.29 in Asia before it fell back to $1212.44 at about 10AM EST, but it then bounced back higher in late trade and ended with a loss of just 0.29%. Silver waffled between $17.73 and $17.456 and ended with a gain of 0.63%. Euro gold rose to about 960, platinum lost $11 to $1298, and copper remained at about $3.04. Gold and silver equities fell a little over 1% in the first half hour of trade and remained near that level for the rest of the day. 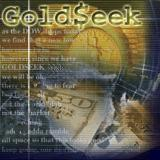 This post was published at GoldSeek on 26 September 2014. Elizabeth Warren is insisting she wants to hold hearings on Capital Hill regarding secret tapes that reveal allegedly the Fed exempts Goldman Sachs above all other banks. The tapes appear to show an ‘unwillingness’, as Reuters put it, among some Fed supervisors to both demand specific information from Goldman about a transaction with Banco Santander and to strongly criticize what Segarra concluded was the lack of an appropriate conflict-of-interest policy at Goldman. This has been the legendary problem that has plagued Goldman through numerous conspiracy theories. It appears that the tide is starting to turn against the NY banks and once the Economic Confidence Model turns in 2015.75, the downside does not look very good for the bankers this time around. This post was published at Armstrong Economics on September 26, 2014. 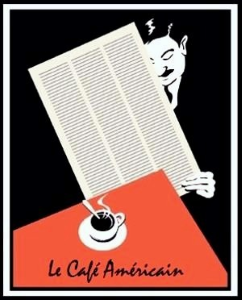 This post was published at Zero Hedge on 09/26/2014. The values of gold and silver would be substantially higher if it wasn’t for the massive derivatives market. Americans have no idea that the Derivatives Monster destroyed the ability for the market to properly value physical assets, commodities and the precious metals. 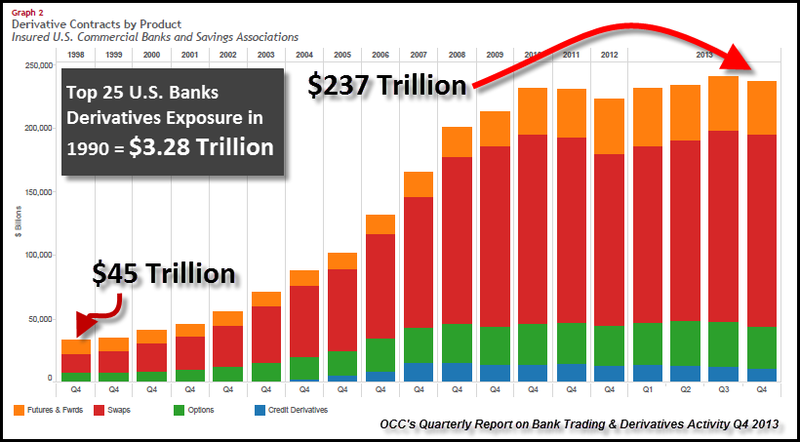 I would imagine very few people could state the total value of derivatives in the U. S. Banking Industry in 1990. Actually, I had no idea until I did the research. Of course, I knew it was much lower than hundreds of trillions in Dollars held by the banks today. This post was published at SRSrocco Report on September 26, 2014. For the longest time anyone suggesting that Europe’s economic collapse was nothing short of a deflationary collapse (which would only be remedied with the kind of a money paradopping response that Japan is currently experiment with and where, for example, prices of TVs are rising at a 10% clip courtesy of the BOJ before prices rise even more) aka a “Japan 2.0” event, was widely mocked by the very serious economist establishment, and every uptick in the EuroSTOXX was heralded by the drama majors posing as financial analysts as the incontrovertible sign the European recovery has finally arrived. Well, they were wrong, and Europe is now facing if not already deep in a triple-dip recession. Which also explains why now it is up to the ECB to do all those failed things that the BOJ did before the Fed convinced it it needs to do even more of those things that failed the first time around, just so the super rich can get even richer in the shortest time possible. The purpose of this exercise of examination of global funding mechanisms is to put together means for inference about the state of dollar funding as it relates to the systemic short. There is no direct path for observation; that is why nobody can figure out how big it is or how it has really changed since 2007. All we know for certain is that it has, and that the paradigm shift is still under way. This last piece pulls in the dollar itself, though even this view is suspect given this rather crude construction. There simply is no such thing as a monolithic, universally representative ‘price of the dollar.’ The reason for that is obvious in this context, as there is no conclusive or even widespread understanding of what a ‘dollar’ actually is, let alone the supply of them. The closest we can get to something like that is when the weight of ‘action’ moves the relative price against so many other currencies in the same direction at the same time as to preclude the intrusion of minor factors. A good example is, I think, what occurred in 2008. I don’t find it coincidental that the dollar (represented here by the trade-weighted index which overstates some currencies, and understates others, but, again, there is no perfect measure of price) stopped its downward trend right at the moment Bear Stearns failed. That tells me that dollar liquidity which had been strained to that point entered a new phase of heightened problems. And that was confirmed by the steady erosion of TIC flows up until Bear. This post was published at GoldSilverWorlds on September 26, 2014. Since early 2013 the US stock markets have done nothing but rally, levitating thanks to the Fed’s oft-implied backstop. This incredibly unnatural behavior has left sentiment dangerously unbalanced, with hyper-complacency and euphoria running rampant. Only a major selloff can restore normal psychology. And with the Fed’s third quantitative-easing campaign ending, odds are high such a big downside event looms. Stock markets are forever cyclical. Stock prices don’t move in straight lines forever, they endlessly rise and fall. Great cyclical bulls that earn investors fortunes are followed by brutal cyclical bears that create the best opportunities to buy low again. The perpetual cyclicality of the stock markets reminds me of Mark Twain’s famous weather quip. If you don’t like current stock prices, just wait a spell and they’ll change! The rising and falling of stock markets is fractal in nature, repeating at different scales. There are great 17-yearsecular bulls and bears driven by valuations, the markets’ overarching cycles. Within them are still-large cyclical bulls and bears, generally lasting from 2 to 5 years each. And then in turn these are punctuated by smaller countertrend moves, corrections inside cyclical bulls and bear-market rallies in bears. These mid-cyclical-bull selloffs are exceedingly important for the bulls’ health. When stock prices rise, the great sentiment pendulum swings ever farther towards the greed extreme of its arc. If the excessive optimism that rising stocks always create grows too unbalanced, all near-future buying is sucked in. So the stock rally soon burns itself out, leaving nothing but sellers. This dynamic is what breeds stock selloffs. The serious risk today is that these selloffs tend to be proportional to the rallies that led into them. The longer stock markets climb without a major selloff to rebalance sentiment, the more unbalanced trader psychology becomes to the greed side. This necessitates commensurately larger and/or sharper selloffs to bleed off the excess euphoria and bring sentiment back into line. That means we are in for a doozy of one today! For the better part of two years now, the American Federal Reserve has tirelessly worked to short-circuit every nascent stock-market selloff. Both by actively creating new dollars out of thin air to monetize debt, and by incessantly jawboning about further easing, the Fed convinced stock traders that it would be quick to respond to any stock-market weakness. So they bought and bought, nipping every selloff in the bud. But with no real selloffs, sentiment couldn’t be rebalanced. Thus greed, euphoria, complacency, and even hubris flourished immensely. This pulled vast amounts of buying forward, effectively bullying far more investors into buying stocks than would’ve otherwise done so in normal markets. This so-called Fed Put led to the most distorted, overvalued, overextended, and risky markets we’ve seen since the early-2000 bubble. This post was published at ZEAL LLC on September 26, 2014. Bloomberg has a story today on the faltering of Draghi’s latest scheme to levitate Europe’s somnolent socialist economies by means of a new round of monetary juice called TLTRO – – $1.3 trillion in essentially zero cost four-year funding to European banks on the condition that they expand their business loan books. Using anecdotes from Spain, the piece perhaps inadvertently highlights all that is wrong with the entire central bank money printing regime that is now extirpating honest finance nearly everywhere in the world. The monthly flow of new loans of as much as 1 million euros for as much as a year – a type of credit typically used by small and medium-sized companies – is still down by two-thirds in Spain from a 2007 peak, according to Bank of Spain data. On the other hand, Spain’s sovereign debt has rallied to what are truly stupid heights – with the 10-year bond hitting a 2.11% yield yesterday (compared to 7% just 24 months ago). The explanation for these parallel developments is that the hedge fund speculators in peripheral sovereign debt do not care about actual expansion of the Spanish or euro area economies that is implicit in Draghi’s targeted promotion of business lending (whether healthy and sustainable, or not). They are simply braying that ‘T’ for targeted LTRO is not enough; they demand outright sovereign debt purchases by the ECB – -that is, Bernanke style QE and are quite sure they will get it. That’s why they are front-running the ECB and buying the Spanish bond. It is a patented formula and hedge fund speculators have been riding it to fabulous riches for many years now. This post was published at David Stockmans Contra Corner on September 26, 2014. This post was published at BrotherJohnF on 9/21/14. China’s Central Bank Touts Gold; Exclusive Interview with David Smith. This week’s 35bps rise in high-yield credit spreads (or ~10%) is the worst since at least June of last year and anxiety spread through other asset-classes appropriately as cheap-buyback-funding and liquidity concerns weighed on all equities – most aggressively small caps. The Russell 2000 is down around 4% from FOMC (and for the year) even with today’s buying-panic this afternoon trying to rescue yesterday’s losses. Much of today’s moves were thanks to The Bill Gross Effect – Treasury short-end sold (2Y-5Y 5bps, 30Y unch), corporate bond spreads jumped wider (HY 20bps, IG 4bps), and European bonds (and German stocks) lurched lower. Markets recovered some of the early move but 2Y closed at 2014 yield highs. The USD closed 1% higher for the 11th week in a row to June 2010 highs. WTI crude close 1.5% on the week, gold unchanged, and copper and silver lower. VIX jumped 22% on the week, closing above 14.5. One of the more significant things that I have seen so far this year is independent confirmation from a credible source that there is price rigging in the silver markets, and that this knowledge is being suppressed by the mainstream media in the US. You can read about that here. I think the fact, given all the rigging scandals from Madoff to LIBOR, that there are major mainstream publications which will refuse to run an article showing evidence of rigging in the silver markets from a credible source is probably as profound as the report itself might be. They know what is happening, and they are afraid. So what does this imply. It implies that powerful financial interests are engaged in an attempt to manipulate the value of certain precious metals to artificial targets. They frequently do this with certain things we know. Dollars and bonds are amenable to this sort of financial engineering, because the financiers are able to create enormous amounts of money using their balance sheets, and with it buy bonds and other financial paper. So they can raise and lower interest rates and other benchmarks at will provided that they can do it in secret and with plausible deniability. They can rig LIBOR, and the ISDAFix, and any number of benchmarks, because these are creatures of their system, without a hard reference or a firm anchor to anything in the real world. LIBOR and the amount of money they have in their vaults can be almost whatever they wish them to be, as long as the people believe. Their nemesis, however, is when they foolishly tie themselves to something external, something that is beyond their system. It is when they overreach, and try to extend their mythology of pricing fixing to things that are not completely under their control. Gold and silver are two such things. Yes, they can engage in all sort of gimmickry on their own exchanges where they make the rules and keep the records. Paper and paper money can symbolically represent precious metals both in quantity and value. Tonnes of imaginary and hypothecated ounces of bullion may be traded all day long, but without requiring a single physical ounce of gold or silver having to change hands. The pricing has been divorced from the constraints of supply and demand. As always, the devil is in the leverage. This post was published at Jesses Crossroads Cafe on 26 SEPTEMBER 2014. Reflections upon the past few years bring out valid criticisms about ‘being wrong.’ I have made no secret that I favor the bearish interpretation of eventually the stock market, but immediately the economy. The erosion and attrition I describe does not look like anything seen before, except the months and years immediately preceding the Great Recession. But that inevitably brings back the rejoinder that there is no such immediate danger right now, as bad as the economy may be there is nothing financially equivalent to the conditions that existed prior to August 9, 2007; with the further inference that a floor exists, economically speaking, today where a trap-door was present then. Year after year we have had to explain from mid-year on why the global growth rate has been lower than predicted as little as two quarters back. Indeed, research done by my colleagues at the Federal Reserve comparing previous cases of severe recessions suggests that, even conditional on the depth and duration of the Great Recession and its association with a banking and financial crisis, the recoveries in the advanced economies have been well below average. Even reading that acknowledgement you realize what the bull case actually is – it is not the recovery or the economy as it exists, it is the promise of one and the plausibility for that promise. Under that paradigm, the market doesn’t care whether orthodox economists are ‘right’ as much as I may be ‘wrong’, only that there is always next year. This is just too delightfully ironic to pass by. sept 26/no change in GLD inventory/no change in silver inventory/gold falls but silver rises/huge 96,450.000 oz leaves gold comex/. This post was published at Harvey Organ on September 26, 2014.